Here are some frequently answered questions from parents like you. We want to ensure your family has a memorable camp experience. Have a question not answered? Feel free to contact us! Where is Hide and Seek Day Camp? Our mail is received at a different address – 1894 Lower Union Hill Rd, Canton, GA.
Our regular camp program begins at 9 am and ends at 3 pm. Pre-camp supervision is provided starting at 7:30 am and post camp supervision is provided until 6 pm each day. Any comfortable and modest clothing is acceptable at Hide and Seek Day Camp. Closed-toe shoes are required for most activities. Camp attire requirements are that no undergarments are showing, including sports bras. Please mark your child’s first and last names on all belongings. Your child should bring a sack lunch, snack, closed-toe shoes, refillable water bottle (water stations are available throughout the facility), sunscreen, and a swimsuit/towel on Thursdays. Please mark your child’s first and last names on all belongings. Yes, water is provided every day. Water coolers are located at various stations throughout the campus. Campers typically carry their water bottles with them, and our staff will make stops for water in between activities to make sure that your child is hydrated at all times. If my child is having a birthday, will you do something special for them? Of course! Please let us know and we will recognize any camper with a birthday during one of our assemblies. Camp will be in session as usual. We have lots of fun and special activities just for those rainy days. How will my child be placed in a group? Children are grouped according to grade level, age, and gender. Children can also be placed in a group according to their group request form. If you wish to request a group or counselor, you can complete that form during your camper’s registration process. All groups are supervised by a counselor; if there is a group that exceeds a certain number of campers, a junior counselor will be assigned to help manage the larger group. Does Hide and Seek Day Camp have any off-campus field trips? No, everything takes place on the campus of Mt. Zion Baptist Church and Ball Ground UMC. However, we do occasionally have guest speakers who come in and provide fun activities for our campers. Will Hide and Seek Day Camp still run as normal during Holiday Weeks? Absolutely! Our most common conflict with the holidays are Memorial Day and 4th of July since they are in the summer. We will not be having camp on either of these days, however every day of that week, with the exception of the holiday, we all be having camp. Normal prices of a 5 day session for camp are $140, however if there is a 4 day session, due to a holiday, the price will be reduced to $125. How does your general camp pick up and drop off work? Hickory Flat Location: Weather permitting, the drop off location is in the back parking lot of Mt Zion Baptist Church; near the over hang in the back parking lot. If the drop off location needs to be moved due to inclement weather, the drop off location will be moved inside the chapel and accessed via the side door of the Chapel. The pick up line begins at the side door of the chapel and wraps around the back of the chapel. A Hide and Seek Day Camp staff member will approach your car and call for your camper who will be sent to the carpool line. Please move all the way up the line so that we can serve as many cars as possible. Only those on your camper’s pick up list will be allowed to pick up your child. Cell phone use is not permitted in the carpool line. Ball Ground Location: The drop off location is in the parking lot of Ball Ground UMC; at the round about. It will be at this location rain or shine. Pick up in the afternoon will be in the same place. A Hide and Seek Day Camp staff member will approach your car and call for your camper who will be sent to the carpool line. Please move all the way up the line so that we can serve as many cars as possible. Only those on your camper’s pick up list will be allowed to pick up your child. Cell phone use is not permitted in the carpool line. What is the staff selection process? 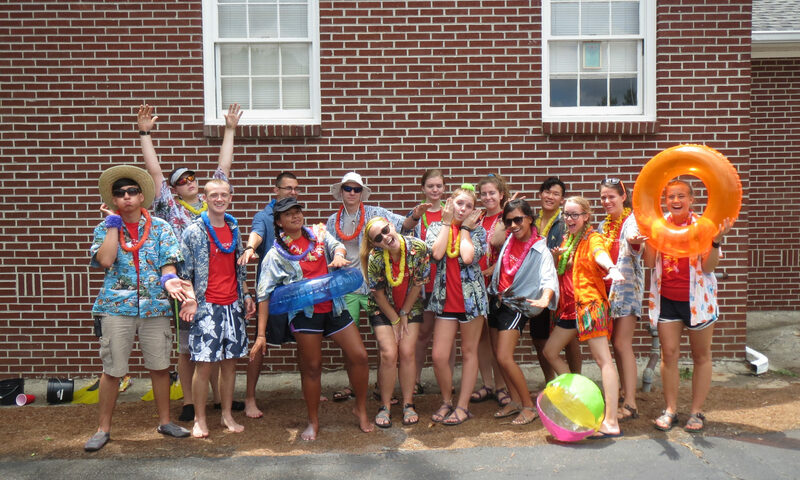 Staff members apply to be a counselor through our online application in late Winter. New applicants are then interviewed individually by the director. Once the applicant passes this interview, they participate in a group interview with the other counselor applicants and submit a background check. Once hired, the staff attends training in May covering various aspects of camp including, but not limited to, low and high ropes training, first aid, curriculum, games and small group activities. Are your staff members background checked? Yes, all Hide and Seek Day Camp employees receive a background check prior to the start of the summer. All employees are required to provide several references and go through counselor training. All employees also receive ropes course training from a certified third party corporation before the start of the summer. Your child’s safety is our highest priority.